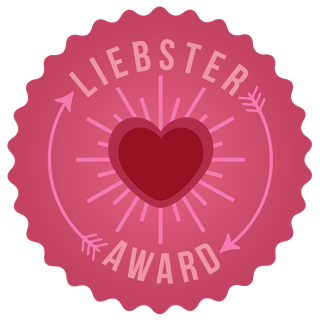 Uplifting Love: The Liebster Award...the What? I was honored last week when I received a comment from Tara at OrganizedSAHM informing me that I had received a Liebster Award. Then I thought, "what's a Liebster Award?" How long have you been blogging? Technically 11 months, however, I didn't really get serious until early February 2013. What inspired your blog name? As I pondered over the question posed to us (why are you and Cami different?) by friends and relatives I realized that when I am with Cami I feel like a better person. I know that I am a better person because I am married to her and when we are working together to improve our marriage we feel uplifted. Hence, Uplifting Love. The kind of love that lifts you up, makes you feel happier and more joyful, and brings you closer to Christ. What one post are you really proud of that you feel maybe didn't get enough attention? Link it! In late February I read an a reader comment on an article in the Boston Globe talking about how they just didn't know if the marriage should go on; they had been married only five years and weren't sure if their life goals were compatible with their spouse's any more. I was appalled (I still am) and out of frustration and in an attempt to in some small way combat this type of thinking I wrote "You Get Married to Stay Married." Since it was early on and I didn't have much of a readership yet not many people saw it. This is the post that I'm proud of and that didn't get enough attention. What is your favorite blog to read in the mornings? Honestly, I don't get much time to read blogs in the mornings before work. Typically I don't get to reading blogs until after the children are in bed in the evenings. One of my favorite to read is Happy Wives Club by Fawn Weaver. While it is for wives most of the things she shares are applicable to husbands as well. If you could give your younger self a piece of advice, what would it be? Start saving money right away. The sooner you start the more interest you will make. My family would be in a much better financial situation right now if I had started when I was a teenager. How many people did you text today? It's morning but despite that I typically only text one or two people a day anyway. Today, only one: my beautiful wife. What is your favorite food? Sandwiches. I love sandwiches, especially sub sandwiches. Where would you like to live if you had the chance? I'm not sure. Probably in the area I currently live in but on a 300 acre estate that Cami and I would own. However, we would only spend some of our time there each year because the rest of the time we would be visiting friends and family and on our yacht sailing the oceans. When I was twelve my two best friends and I designed a space ship that we were going to build and command. I was going to be the captain and they were going to be my first and second officers. Along with number 3, someday I would like to teach a business management class at a university entitled "Picard's School of Management: Lessons in Leadership"
When the television, a movie, or any kind of video is playing I completely zone out everything else. I have no control over it. Which post that you've written are you most proud of and why? What is your least favorite ice cream and why? How many foreign countries have you visited and which was your favorite? If you had one million dollars (and didn't have to pay taxes on it; wouldn't that be nice) what would you do with it? How many movies do you typically watch each month? I shared your question #7 and your random fact #7 with my 12-year-old son to try to inspire him! Thank you so much for linking up with us at the Plus Party! I have added your google+ and bloglovin accounts. I will also add twitter. Thanks Lisa! I followed you back! Congrats! #7 sounds very interesting (a degree before a diploma, hmm! )I'm enjoying reading your posts. Thank you for the nomination. :) Your love for your wife is so evident, I think it's lovely. Congratulations on your fourth child!! For some reason, I didn't know you had kids. Now I learn your on #4?? ;) Exciting.